Sometimes stress can really take a toll on our bodies–including our teeth. According to the National Sleep Foundation, one survey shows that around eight percent of adults grind their teeth at night, and some of us may not even realize we’re doing it. 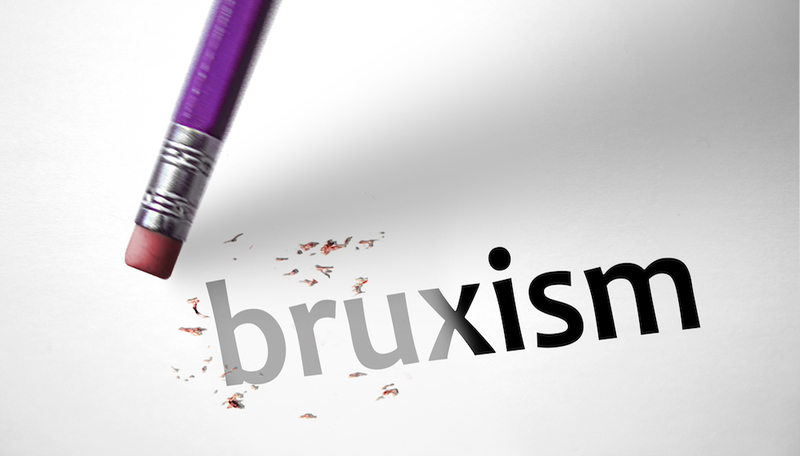 But teeth grinding (also known as bruxism) can really weaken your teeth, cause headaches and pain in the jaw–and can also be a sign of broader health problems. So it’s essential to identify and address teeth grinding with your dentist’s help. How Can I Tell If I’m Grinding My Teeth? If you’re clenching or grinding your teeth during the day, you’re probably already aware that you have an issue. But in most cases, teeth grinding happens at night, so you may not even know that it’s happening. Here are some of the symptoms of teeth grinding as identified by the American Dental Association. If you’ve noticed any of these, it’s time to schedule an appointment with your dentist! What’s The Best Treatment For Teeth Grinding? Manage stress and anxiety with meditation, counseling, and exercise. Focus on keeping your jaw relaxed during the day. If you think you have a sleep disorder, see your doctor to look into additional treatment options. Avoid caffeine and alcohol late in the day. Stay up to date on your dental check-ups: routine dental care can help you catch potential problems early by detecting signs of wear and tear that you may miss. Talk to your dentist about a custom-made mouthguard. How Can A Mouthguard Help With Teeth Grinding? Not only do nighttime mouth guards reduce wear and tear on the teeth, but there are also special night guards that can reposition the jaw to help with TMJ symptoms. Studies have also shown that special mouthguards, known as Mandibular Advancement Devices, can be highly effective at treating mild to moderate sleep apnea by moving the jaw to keep airways open. This creates a virtuous cycle since treating sleep apnea can also help eliminate teeth grinding, according to the National Sleep Foundation. If you don’t have TMJ or sleep apnea but suspect that stress may be causing you to grind your teeth at night, talk to your dentist about a custom mouthguard. Your dentist will make an impression of your teeth, and then a lab will create a specially designed mouthguard based on that mold, usually made out of soft plastic These custom mouthguards designed in your dentist’s office offer the best fit and the most comfort. This means you’ll be more likely to wear your guard every night and stick with it. As with many dental problems, the most important thing when it comes to teeth grinding is to catch it early before significant damage is done! Keeping up with regular dental check-ups is a great way to spot warning signs, allowing your dentist to track any changes to your teeth. Be sure to tell your dentist if you have any of the symptoms that are harder to spot, including headaches and jaw pain. Remember, it’s a fairly common problem, and relief is usually just a visit or two away!